There was once a man who owned a laundry. He thought that his purpose in life was to wash clothes. So, Hashem made a machine that washed clothing and the man learned that that is not his purpose in life. There once was a man who wasned dishes. He thought that his purpose in life was to be the best dishwasher around. So, Hashem sent a dish-washing machine and he learned that this was not is purpose in life. There was a man who learned Torah. He thought that his purpose in life was ..... So Hashem sent him a computer. A computer learns well. But... there never will be a machine that can daven with enthusiasm. A machine can never take over the functions of a heart. The sefer Tanya written by the Alter Rebbe famously begins by quoting a gemara from Niddah. It prefaces this quote with the word, Tanya, "It was taught". However, the actual quote does not start with the word “Tanya” where it is quoted from in the Talmud. There has been much discussion of this in Tanya commentaries, and one explanation that they give is that there is a klipah, a negative force that attempts to prevent the learning of the secrets of Torah. Therefore. the Alter Rebbe starts with this word to to deflect counteract this klipah. This logic has been also applied as to why one of the sefarim of the Rashbi, R’ Simon's bar Yochai, also starts with the word “Tanya” (p. 5 aka p.38 in pdf). Earlier sources for this idea are in the sefarim from students of the Arizal such as Vayakhel Moshe, Mishnas Chassidism and Yesod Yosef ( the last of which is cited in R’ Mosh Wolfson’s perush on Tanya). Or Haganuz, whi gave one of the haskomos to Tanya and R’ Shimson Ostropole's Likutei Shoshanim which is quoted and elucidated in Shiveli Pinchas Bereshis B (p.184)also say something similar although the latter gives this negative force a slightly different name. The annual Chabad cycle of learning Tanya ends/starts on 19th of Kislev when the Alter Rebbe was freed from prison and thus allowed to continue teaching chassidus. There is, therefore is a connection to overcoming forces opposed to learning chassidus. This month is also Chanukah, that commemorates challenging of Torah by Greek philosophy and Hellenists who were attracted to that philosophy. The Vayakhel Moshe, after discussing the negative force and the use of "Tanya", takes up the gemara in Avodah Zara prohibiting the oil of the goyim and the connection to Chanuka oil. R’ Tzvi Elimelech of Dinov points out that the gematria of “Tanya” is equal to “wine oil”. Chabad Chassidus too frequently compares the learning of Torah to that of wine and oil . The lesson to us is that Tanya cycle beginning of 19 f Kislef is not a coincidence but is inherently connected to the warring moral and intellectual forces of Channukah. To bring it home, this battle unfortunately still continues today as students of all ages, everywhere, are confronted by the choices between learning Torah and other academic subjects or even more regrettably, competition for their attention and commitments form "fuzzy" information sources, such as tweets, googles, and urban legends upon which to base their lifestyle. Chanukkah is an important festival and it is no surprise that there many different ways to conceptualize it within the Jewish tradition. Some of them are based on..... Gid Hanoshe. 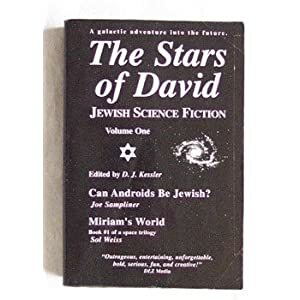 and some are deeper http://chabadlibrary.org/books/default.aspx?furl=/zz/dm/1/3. Gid Hanoshe is identified as that part of the body which transitions from the thigh to body. various mefarshim have connected it to Channukah which is always in the same month as Vayishlach which is the first discussion of the Gid Hanoshe in teh Torah. In these sources, where the connection is made between them based on the citation from Kabbalah that Channukah is also associated in the sefiros of netzach and/or hod and thus must have a connection to the Gid HaNashe from this commonality. Netzach and Hod are the two sefiros that are assocaited with the hips of a human being, when the sefirotic complex superimposed upon the human form. This is why the Chanukkah light can only be lit until until the “feet” / regelof the passerbys leaves the marketplace..... and the feet are connected to the body by the Gid HaNashe!